U.S. Internal Revenue Service building in Washington, D.C. The Brager Tax Law Group hopes the 6,500 document pages it demanded from the Internal Revenue Service about a voluntary reporting program for offshore income will give it a window into the way the agency sets penalties. The five-attorney Los Angeles boutique obtained the documents through a Freedom of Information Act request and published them on its website. Dennis Brager spoke with The National Law Journal about the document request and IRS enforcement of taxpayer’s foreign income reporting. The remarks below have been edited for style and clarity. NLJ: Why did your firm decide to do this? Brager: We’ve been dealing with the Offshore Voluntary Disclosure Program (which calls for penalties up to 27.5 percent for reporting violations) and all its iterations for approximately five years. We’ve had literally hundreds of cases. 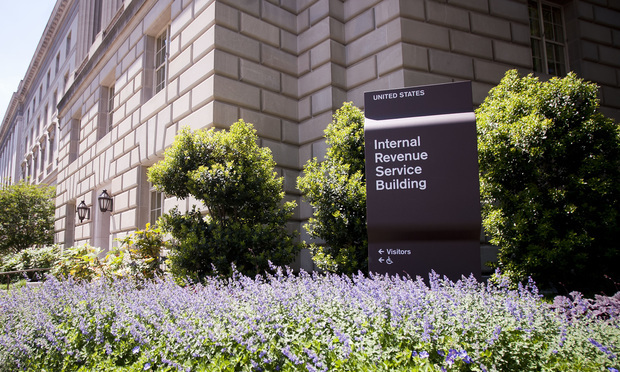 We’ve been frustrated on a number of occasions by the IRS’ conclusion as to the amount of a penalty applicable to our client. Either we didn’t understand where the agent was coming from or the decision seemed almost random. We wanted to get a little better sense of what guidelines were being provided to the agents and how these decisions were being made. NLJ: What have you and your colleagues learned from the documents? Brager: Not as much as we’d like; the IRS withheld about 700 pages. We asked for a wide variety of different types of documents, but we weren’t provided with any emails and we didn't get interoffice memos. There’s a long list of types of documents that we didn't see that we would have expected to see. Also, you could tell the IRS was refusing to release the names of the various technical advisers who oversee the offshore disclosure programs. NLJ: Is the IRS stepping up enforcement of underreporting of offshore income? Brager: This has been a focus of the IRS for the past five years. While I wouldn't say they’re stepping it up, they’re by no means stepping back. With the Foreign Account Tax Compliance Act reporting due to kick in essentially the beginning of next year, the IRS is going to have a lot more sources. NLJ: What will that act do? Brager: It’s a set of laws that enable the IRS to obtain account information from countries around the world. Now if you have a bank account in India, that bank is going to be required to obtain your Social Security number. It is going to send your account information to the IRS on an annual basis, just like Wells Fargo or Bank of America. NLJ: What’s your next step? Brager: We have filed an appeal with the IRS. We’ll see how that goes. Our next step would be to file a lawsuit in federal court. Also, one of the reasons we published the material on our website is to leverage the power of social media. We’re looking for suggestions about things people think should be in there but are not. The material is fairly voluminous. We’re a small law firm.